Bachelor’s Degree: In order to have a Bachelor’s Degree in any Foreign Language, candidates must have passed Class 12 Board Examinations or any other equivalent examination from a recognised Board. Master’s Degree: In order to have Master’s Degree in any Foreign Language, candidates must have done his graduation in the same language. Kindly Note: The above-mentioned eligibility is applicable to the Universities/Institutes offering full-time course in the Language concerned. Applicants should have a basic understanding of the English Language. Many official Institute that offers a student to excel in Foreign Language has their own and different Eligibility Criteria. 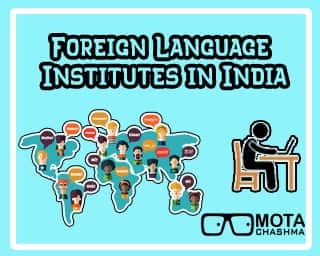 There is a huge Scope of foreign language courses and the candidates who wish to pursue higher studies in foreign language will have abundant job opportunities offered by several top multinational companies and multilateral organizations. Language skills are essential attribute in most professions and help in the personal growth viz-a-viz the growth of the organization. Once the candidates have become fluent in the language of their choice, they can also think of becoming a specialist in foreign language, interpreters and translators. Entertainment organisations, tourism department, public relation firms, international organizations and publishing houses also recruit the experts of Foreign Language. 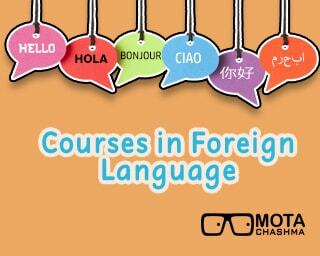 Once you have attained fluency in any language a door to many golden opportunities opens automatically. One can think of working in a school as a teacher, as an interpreter, translator and freelancer. You can also try your luck in several sectors namely: publishing, tourism, public relation, mass communication and many other. Many public sector organisations like Reserve Bank of India, United Nations Organisation, Ministry of External Affairs and Embassies constantly come out with the opening for the candidates who specialise in Foreign Languages. If nothing suits you, last option is to become a freelance online content writer, technical translator where you can earn while working from home. A person can either pursue an undergraduate degree course, diploma, certificate course and the basic Difference between these courses is given below. Some Universities conducts entrance test. Some offer direct admission on the basis of marks secured in Class 12. If differs from University to university. Apart from Universities for learning Foreign Language, there are various well-recognized institutes who are offering the same courses. Scroll down to check the list of the institute. Holding the tag of one of the oldest institutes in India for foreign language, Jawaharlal Nehru Academy of Languages was established in 1958. French, German, Spanish, Chinese, Japanese.